Perhaps you heard about Former President Obama’s precision medicine initiative or are somewhat familiar with the field of pharmacogenetic and are interested in learning more about how the field of pharmacogenetics will transform science and healthcare as we know it. 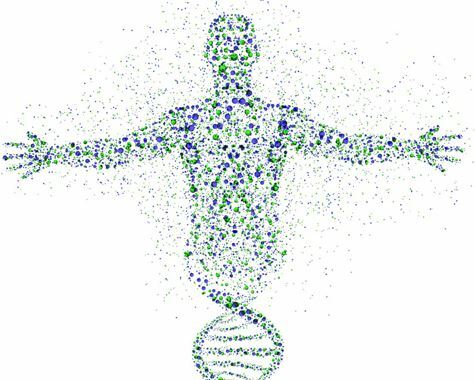 Essentially pharmacogenetics, or PGx as it’s commonly abbreviated, is a niche within personalized medicine that utilizes a person’s genetic data to make better decisions on prescribing and utilizing medicines and drugs. Pharmacogenetic testing has a wide range of applications but primarily allows people to understand what medications that they can or should take. With a number of different pharmacogenetic tests currently available on the market, it can be somewhat of process to determine which genetic testing panel or genetic testing company is the right fit for your pharmacogenomic needs. Finding the right Pharmacogenetic testing company is as simple as making sure that the company’s tests would cover medications that you are taking or planning on taking, that they are certified by the appropriate governing bodies, and that you can rely on them to help you interpret data or answer any questions you might have about your pharmacogenetic testing. 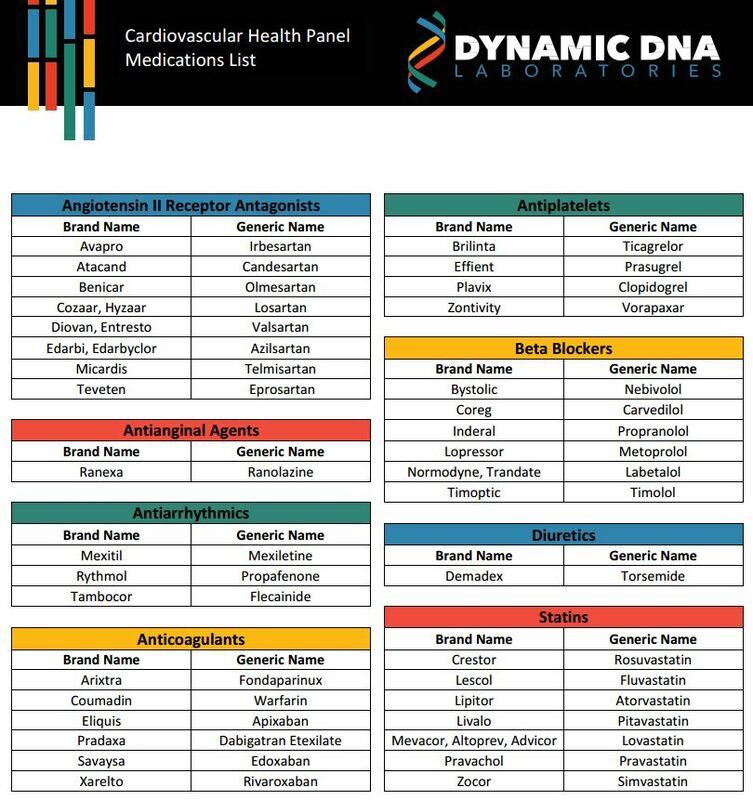 Dynamic DNA Laboratories pharmacogenetic testing services fully satisfy all the previously mentioned conditions, and we have evaluated them to be a phenomenal resource for pharmacogenetic testing and genetic services. 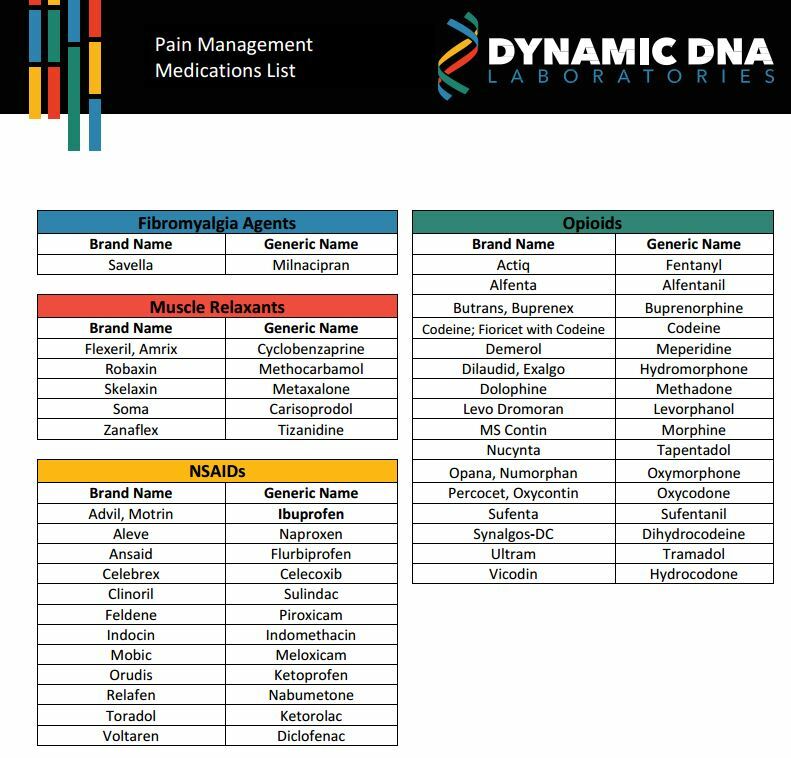 Dynamic DNA labs also offers a number of other useful genetic testing panels, and another widely utilized test is their pharmacogenetic testing panel for psychiatric medicine, which we will cover in a later article. If there is any additional information you would like to know about genetic testing or genetic testing companies we suggest that you utilize the contact us feature of our website, and we will respond to you shortly.